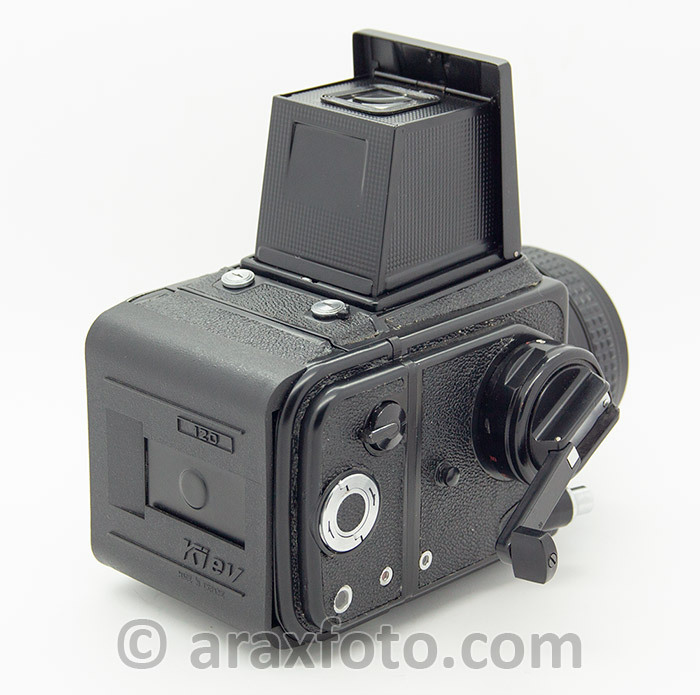 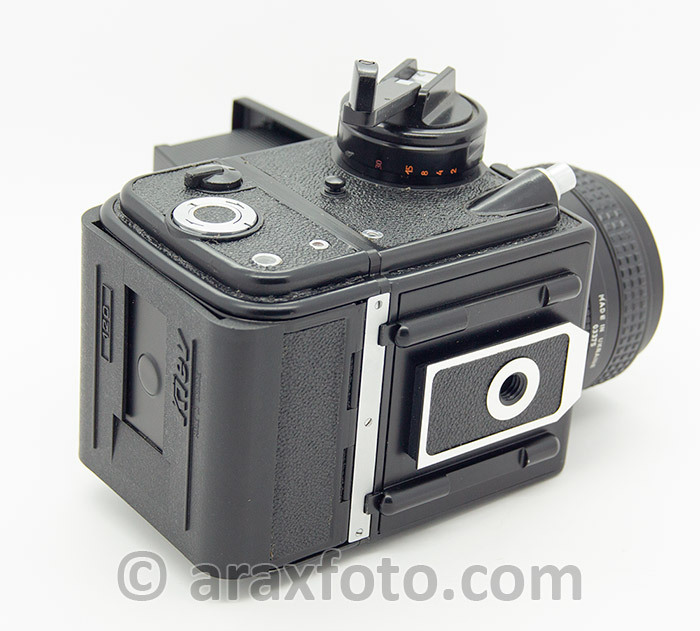 ARAX-CM/MLU start - medium format film camera from Kiev with shipping worldwide. 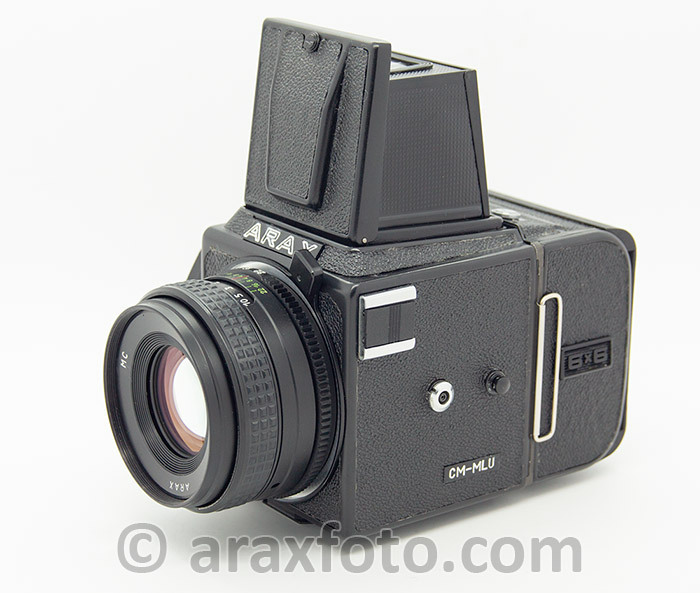 ARAX-CM/MLU starter kit. 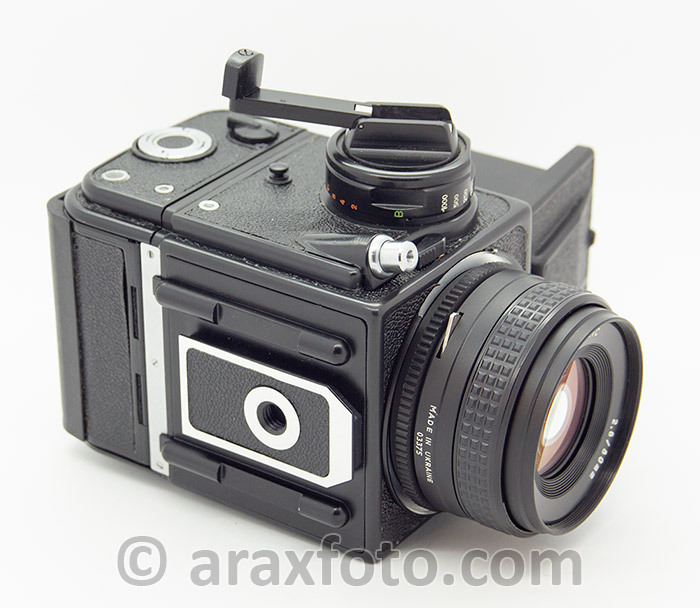 Black or chrome finish. 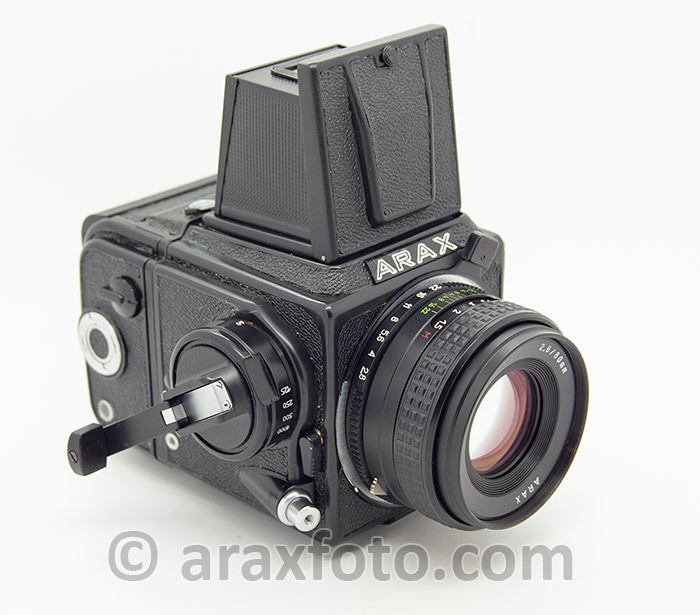 The only difference from the standard ARAX-CM-MLU kit is that it is a NOT complete set. 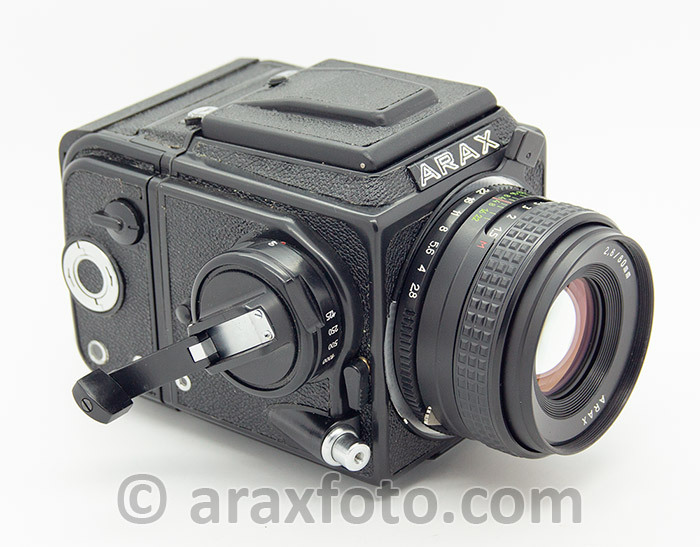 Get experienced with your ARAX-CM-MLU and then you can easily expand your system with additional film backs, meter prisms, lenses and accessories, all with the fabulous ARAX quality, support, and value.